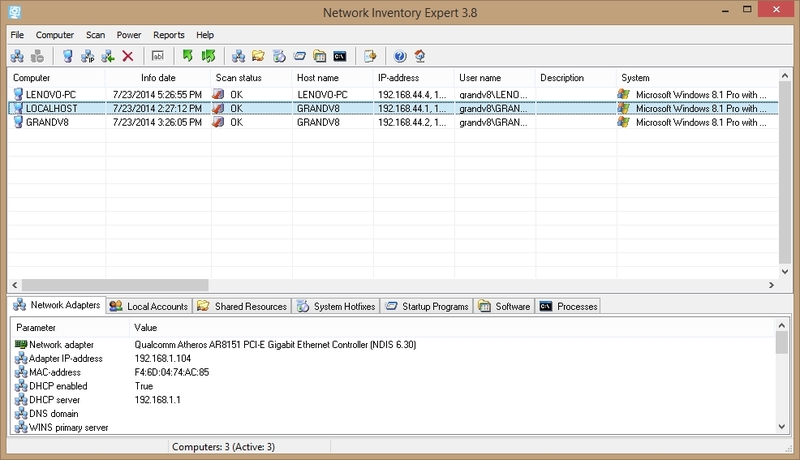 Simple and powerful solutions for network inventory with agentless Network Inventory Expert or agent-based Network Inventory Monitor methods of scan. 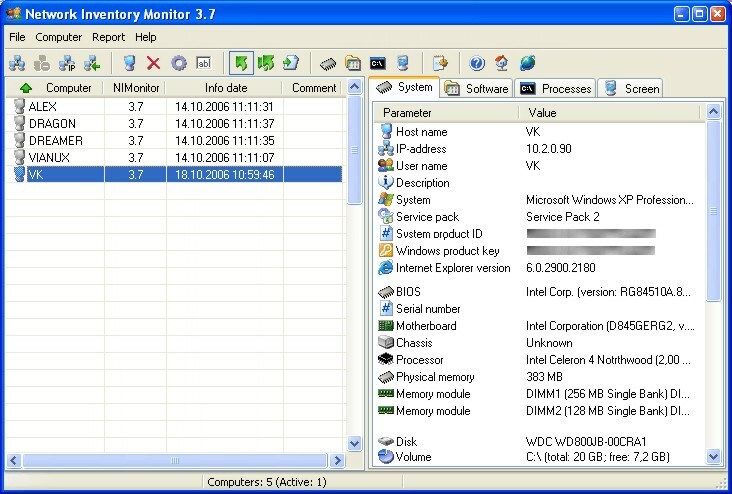 Our network inventory software collect hardware inventory and software inventory data from remote computers. Complete information about OS, service packs, hotfixes, hardware, software and running processes on remote PCs. You can get hardware and software report for each computer or for all computers. Powerful reports help you get the quick and deep look at your network. Which network asset program is more suitable for you? Examine key features of each in the table below to help you decide.